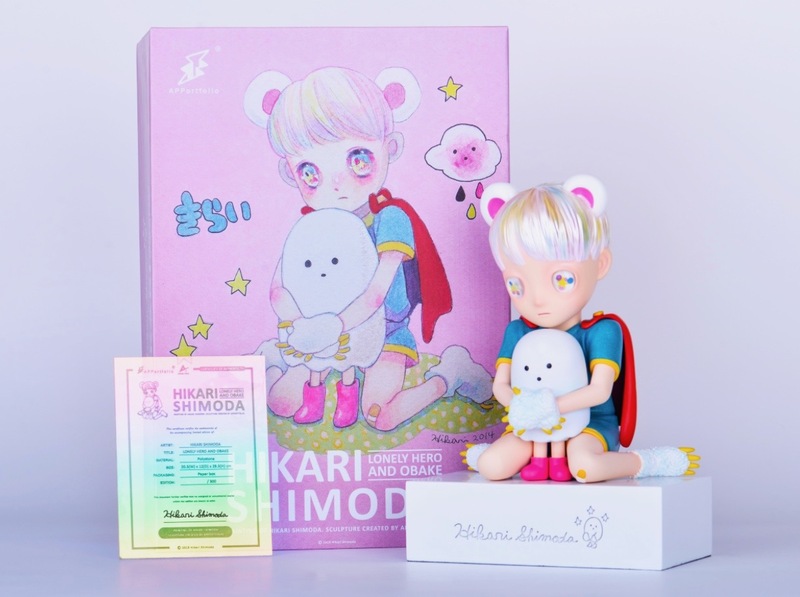 In a few hours, Hikari Shimoda will be releasing her latest collaboration with APPortfolio – the Lonely Hero and Obake figures. Both versions Polaroid (full-color, run of 300, $488) and Birch (wood, run of 118, $1360) have been made available already at the Shanghai Toy Show with an online release slated for Apportfolio’s website on April 15th, 10:00pm GMT. 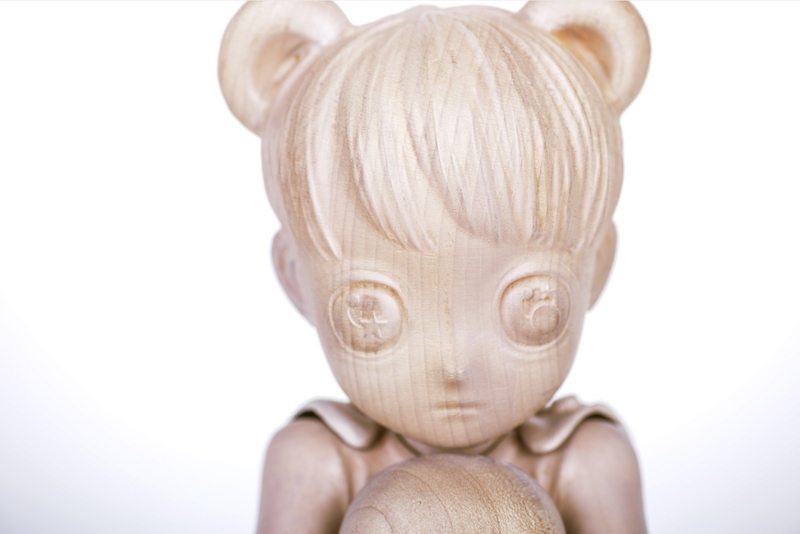 The characters are an amazing three dimensional representation of the Japanese artists work and first made their appearance in her work in 2011. Hikari’s Lonely Hero is a lonely magical boy, the last boy on the planet, destined to save the world from humanity while Obake, the Japanese word for “ghost”, is his friendly counterpart, a spirit representing the human race. Categories: Low Brow & Pop Surrealism, Releases, Sculpture. 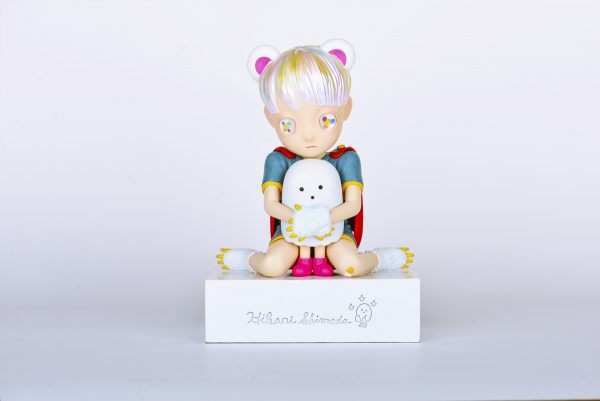 Tags: Art Toys, Hikari Shimoda, Low Brow & Pop Surrealism, Releases, Sculpture.